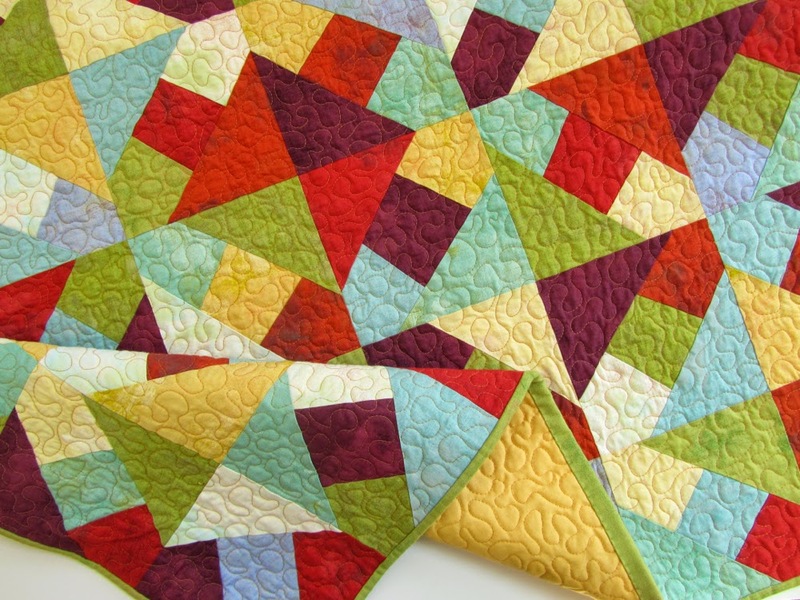 New Quilts! New Articles! New Car? If I choose to look at the glass half full, then overall it's been a good week. The one above, (which I have named "Railroad Crossing #2) is from one of the layouts I was considering in this previous post. 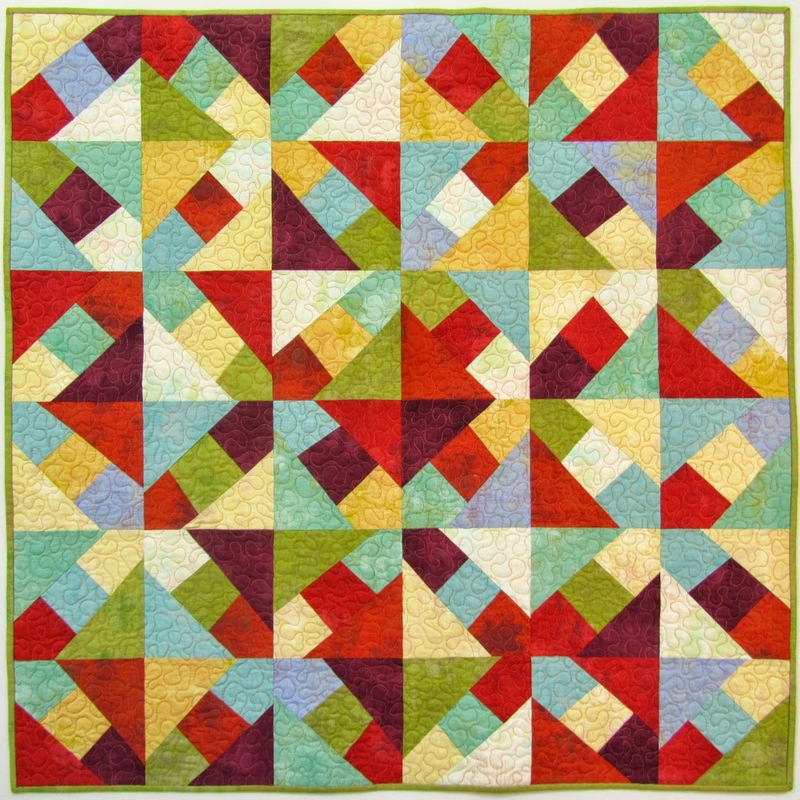 It uses the same block that I designed for this quilt, (which I finally decided to call "Railroad Crossing") but laid out differently. This one I am calling "Back Roads Detour". 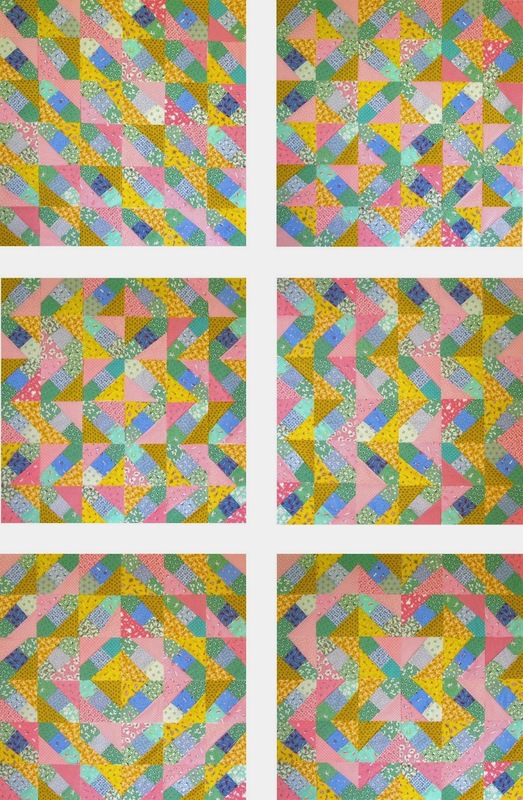 I've been working on a PDF pattern for both of these quilt blocks, but I keep coming up with so many design variations, and ideas for other quilts, that my head is swimming with the possibilities. So for now, I am just continuing to explore and play, and taking lots of notes! 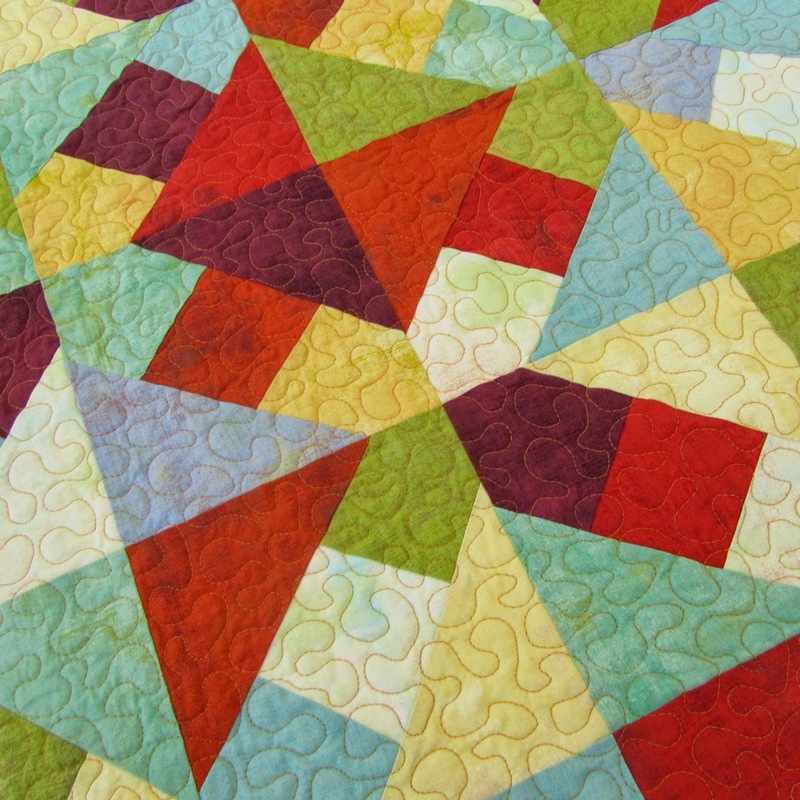 All I can say is that it feels good to be making quilts again... 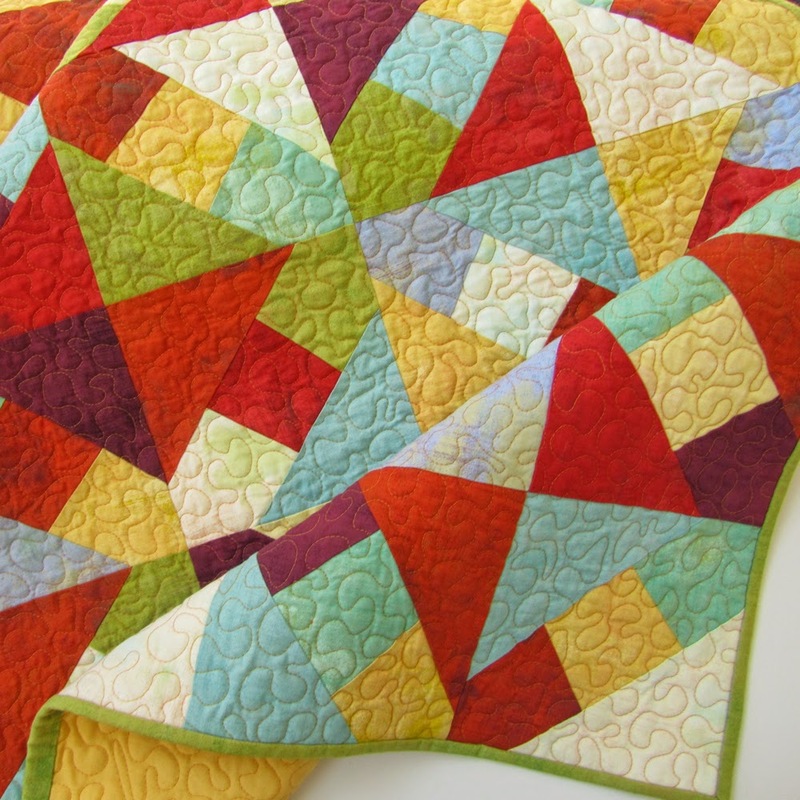 I think I burned out for awhile, and also felt a bit confused as to what to do when my hands seemed unable to do all the hand quilting that I had been focusing on for the last few years. 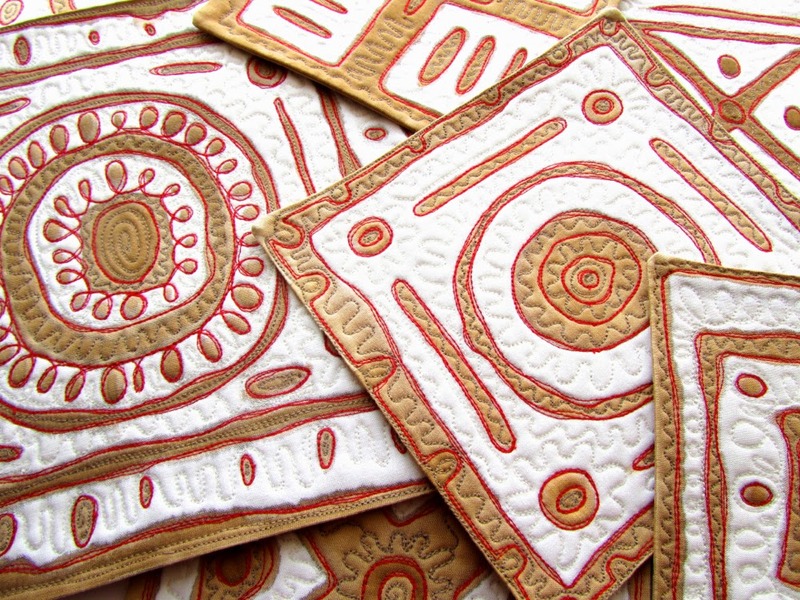 But now I am rediscovering the joys of free-motion machine quilting and feeling very inspired! 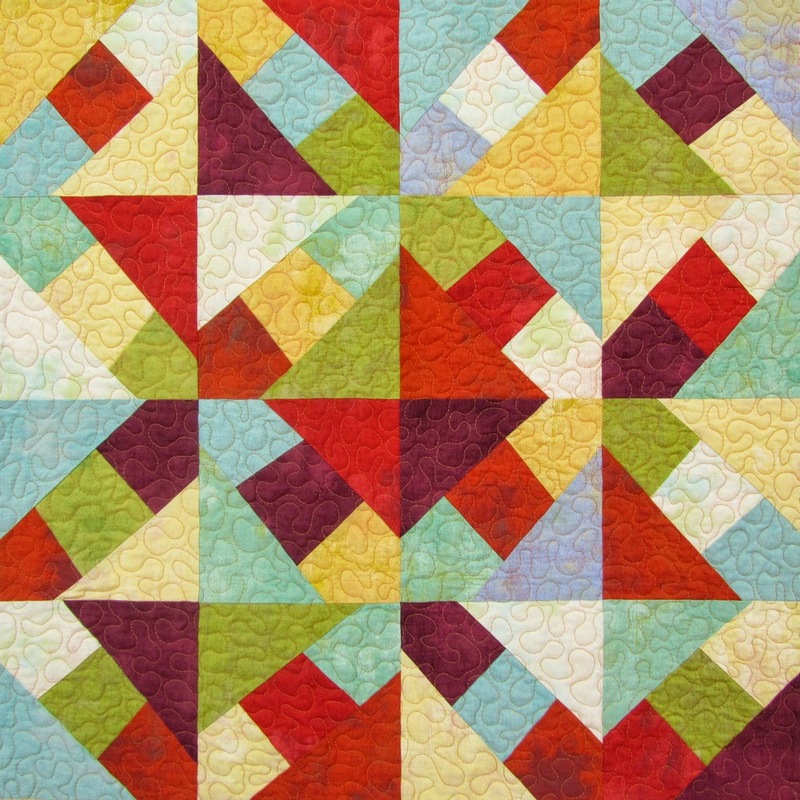 Check out these fun little "Stained and Scorched" mini quilts that I did for the new June/July issue of Quilting Arts Magazine. 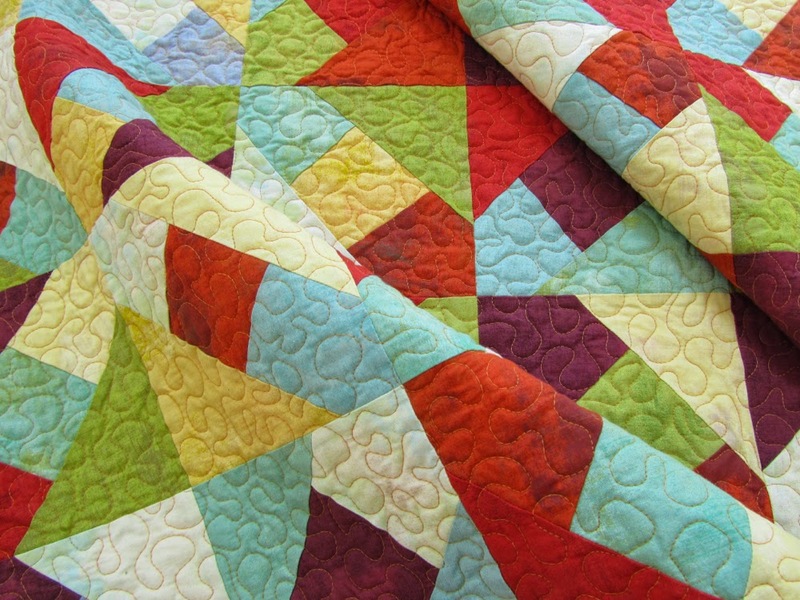 Vivika Hansen DeNegre, the editor of Quilting Arts, saw my blog post on using lemon juice to "dye" fabric, and asked if I could write an article about the process for Quilting Arts. In the article I show step by step photos outlining how to get these results. 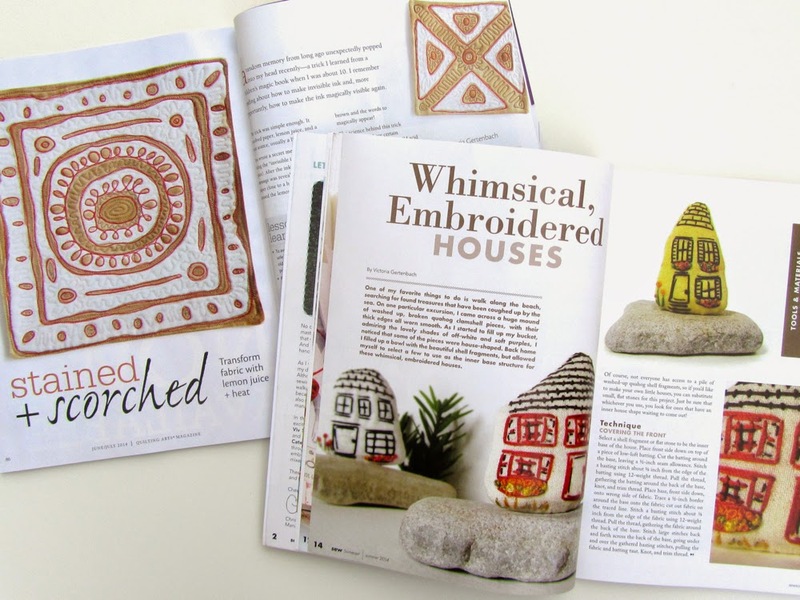 And while you are at it, look for the new Summer issue of Sew Somerset, where I was asked to contribute a how-to article for making my Embroidered Houses, which I first made a few years back. 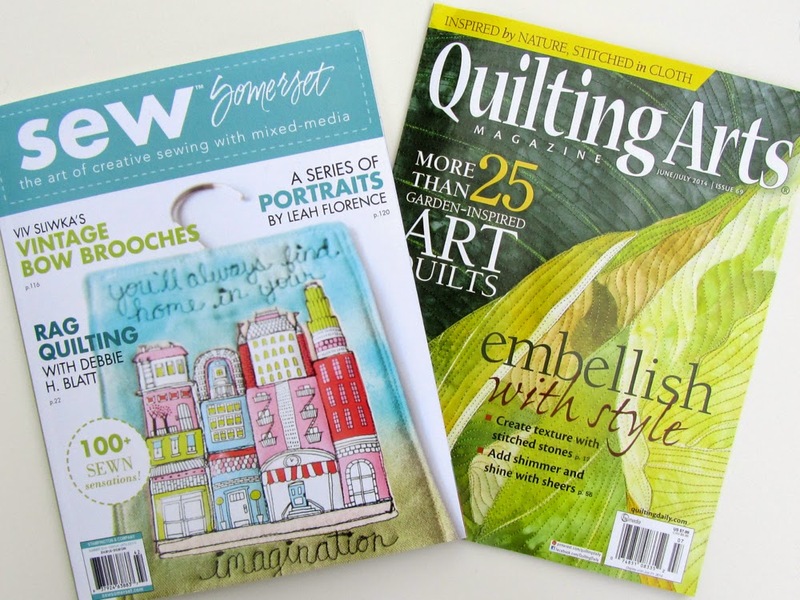 Issues are hitting the news stands and craft stores now, so if you don't already subscribe, be sure to check them out next time you are out and about! So that's why overall it's been a good week. Or in my case... Hail... of biblical proportions! Did you happen to see the Nightly News last Thursday night? which just happens to be where I work. Hail which was the size of golf balls and tennis balls, (yes, I said tennis balls!) 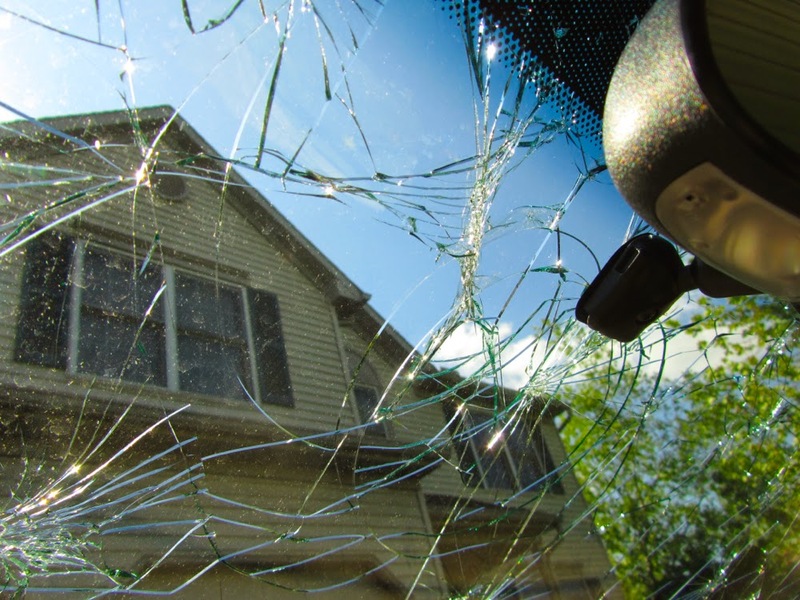 stormed through the area leaving thousands of cars, homes and businesses damaged. My poor car! Pocked marked and cracked from head to toe, even my emblem got ripped off of the hood. Now we wait, with so many others, to see what insurance decides. The car is most likely totaled, due to cosmetics, but mechanically runs just fine. We are considering keeping it, and just driving it until it falls apart. 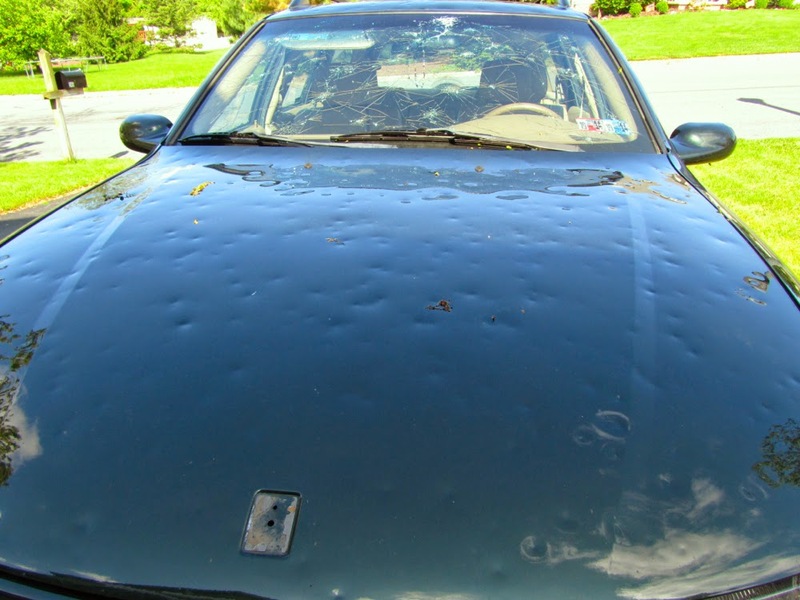 What the heck... with a car like this, no more worries about car dings and getting scratched. It simply is what it is! Kind of liberating! and that is something to be truly thankful for! PS. 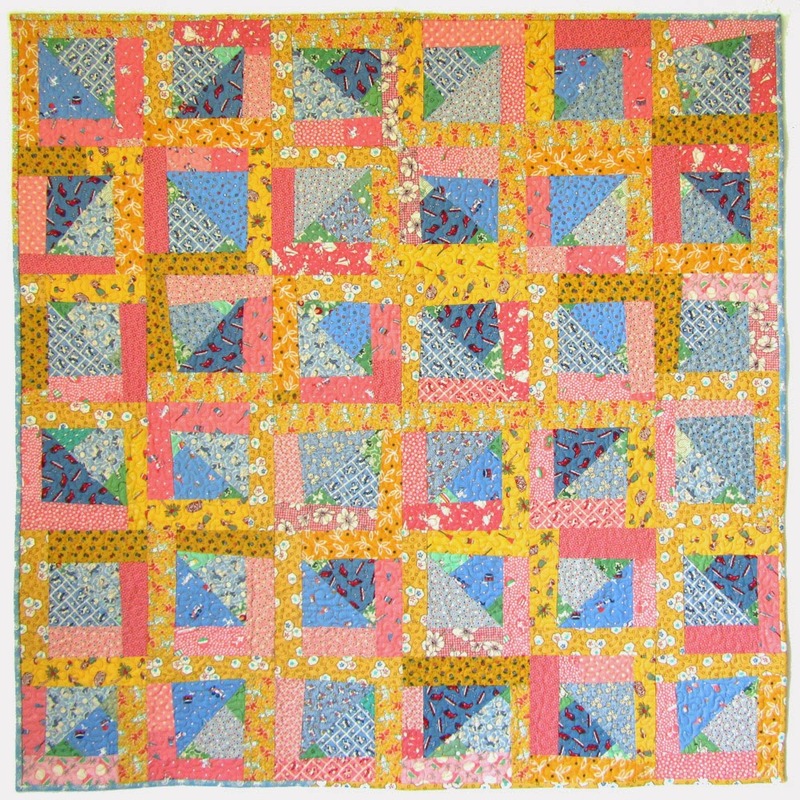 Many thanks for all the creative name ideas on my last quilt, using this same block. I loved hearing what you all saw! 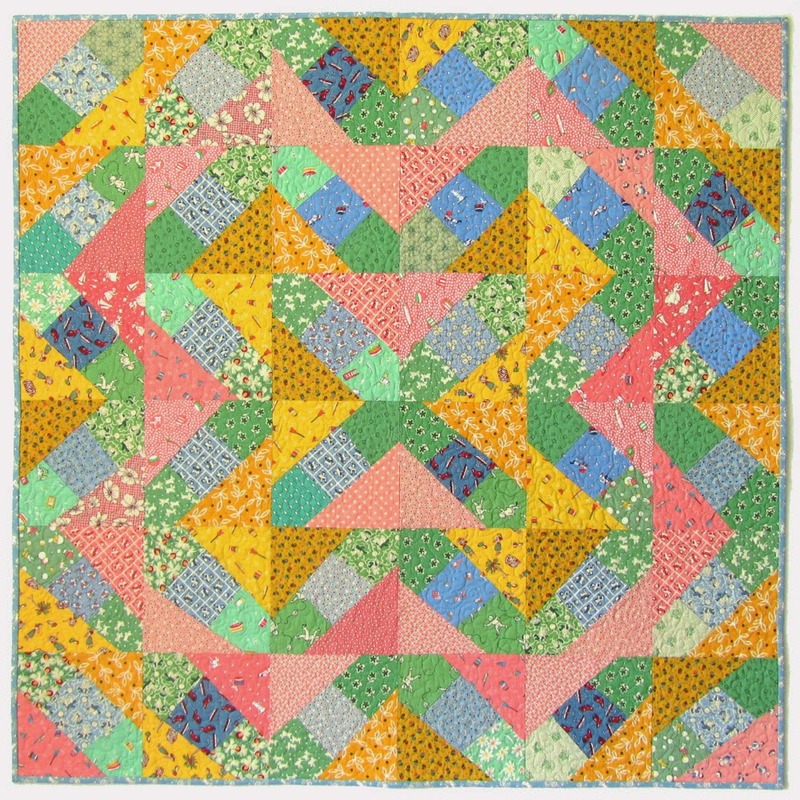 After a lot of thought, (yeah, I know... too much thought... but being a bit OCD, sometimes the mind does that) I decided to go with my original thoughts when first designing the quilt and have named it "Railroad Crossing". We have a lot of railroad tracks crossing the rural roads around here, and something about the old tracks holds a lot of intrigue for me. So there you go. But again, many, many thanks for all the wonderful and creative input! In Search of a Good Name! 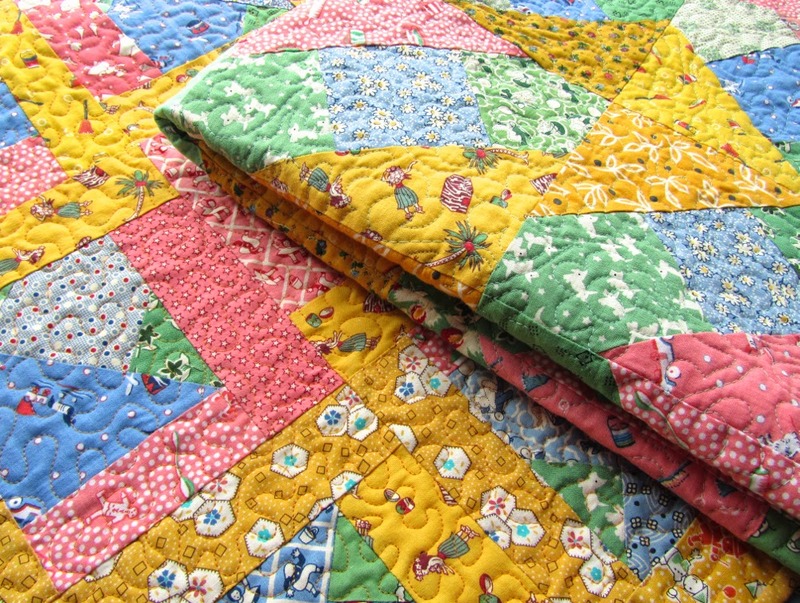 Have you ever made a quilt that was simply a joy from start to finish? 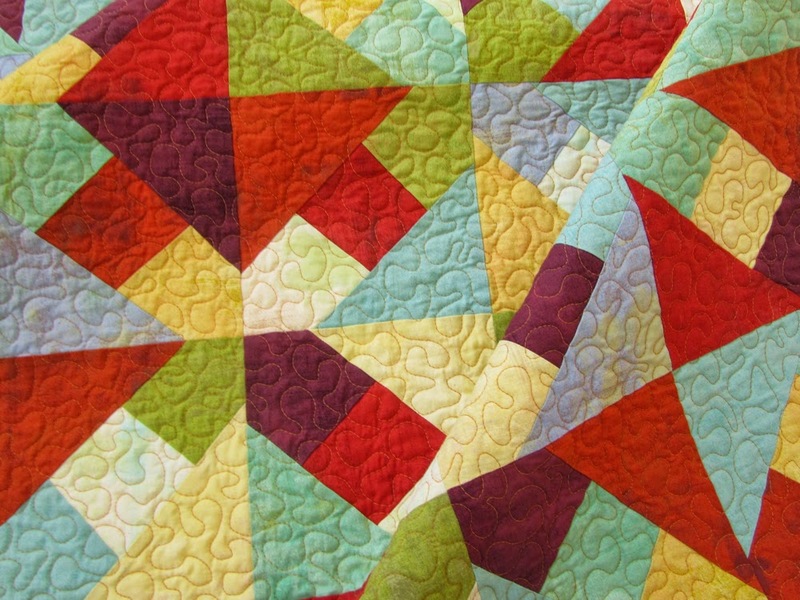 That's what this quilt has been! Fun! Pure and simple fun! 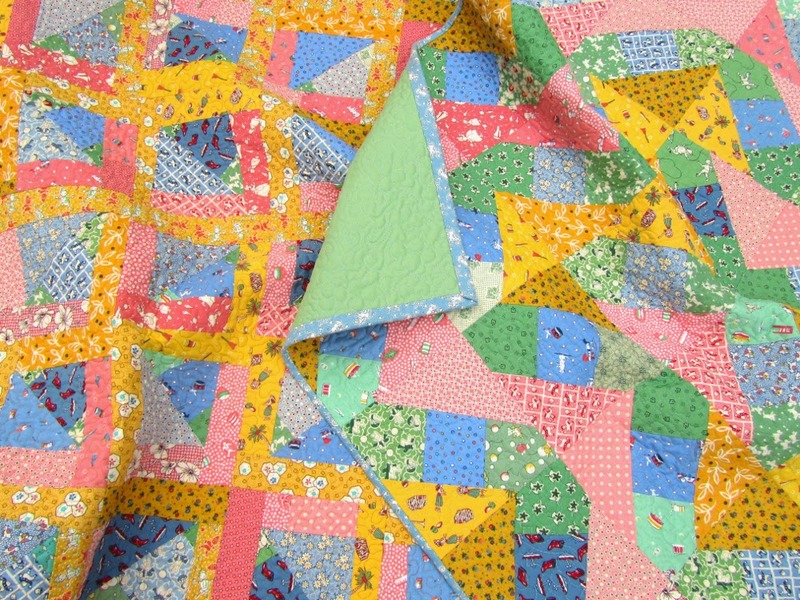 I had a lot of left over fabric bits and scraps from this quilt and have already stitched up several small quilt tops from them. 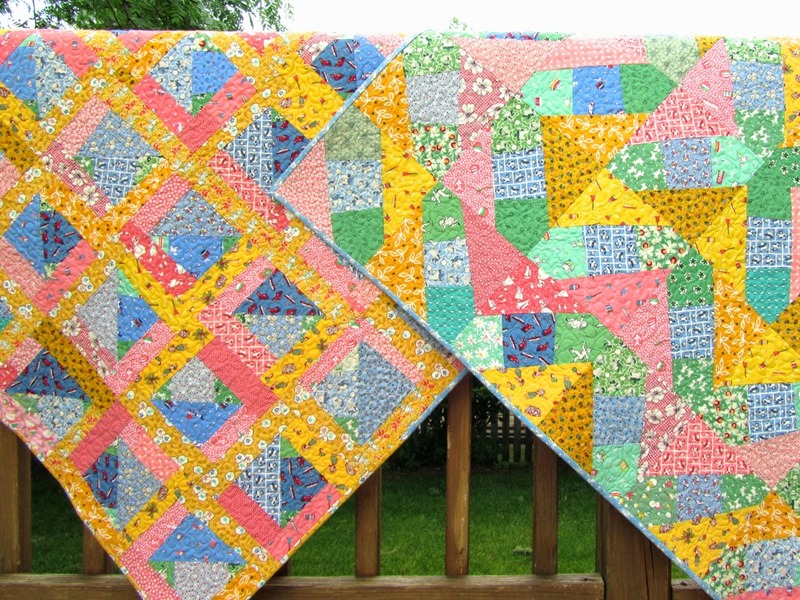 I'll share them in a future post once I have them quilted! I'd love to know what you see!